Here is the caveat - None of this is to say that saying no is easy peasy. It's wonderful to say yes, the cross-your-heart kind of yes but we don't do that quiet often, do we? A lot comes your way when you say yes at work. You give the impression of being adept and proactive. You become the go-to person for everyone. Here is the catch though. You need not always say yes. Yes, you need not say yes when your hands are full and spark the self-hate that follows. We all yearn for success and taking up more commitments than peers seems the easiest way but there is only so much you can take. 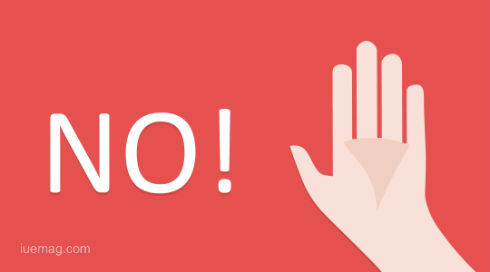 Say no at work when you are assigned a task that does not fall under your job role and could be easily accomplished by the person who is asking it. In fact, what we often fail to realize is that people respect the confidence and adherence to set-priorities when we don't budge. Look for beneficial opportunities hidden in the other person’s request. Can you frame your contribution or gain professionally from the outcomes? Do the math before saying yes right away. It's not hard to visualize the future of how annoying it will be to have to stay late and that feeling of getting home and eating dinner late. If you can summon this mental picture in your mind, saying no can be your second nature for all the right reasons ofcourse! Remember that you’re always in control of your own life. By saying yes to too many things, you might be compromising your health, happiness, or relationships. The burning question - How? How can you sound polite and less negative while turning down a request? Start on a positive note by thanking the person for thinking of you and then follow it up with an honest reason why you can’t accept the request. Be open to concerns and negative feedback. Offer a solution or alternative and stand your ground. This way you save yourself from two things - cycle of guilt and awkward feelings and extra-work that might cost you your productivity. Denying something is just an art of framing the "no" in the right time and more importantly in the right way. Aim to be known for the considerate way in which you express yourself even in tough conversations. A good work-life balance awaits you on the other side of saying no gracefully. Cheers!